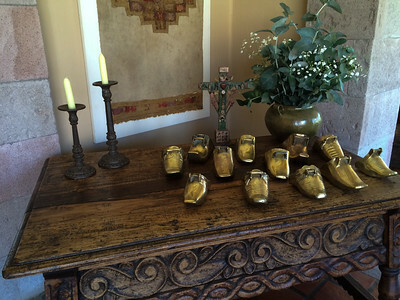 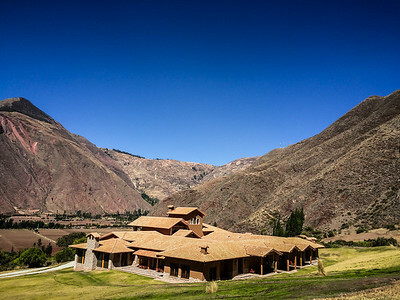 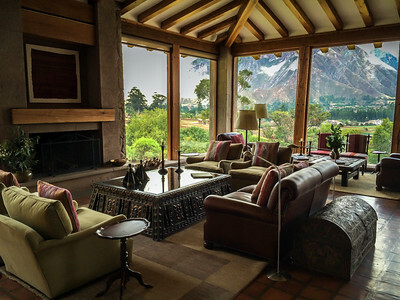 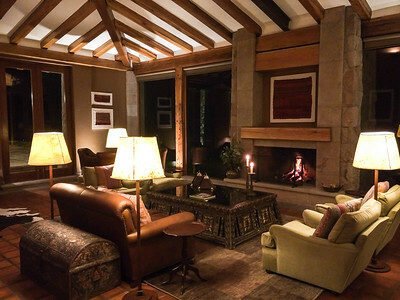 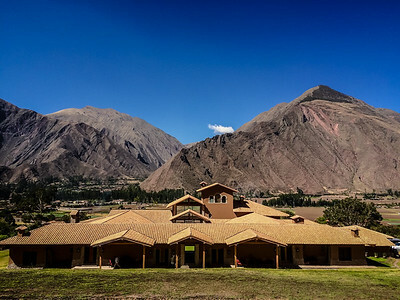 Inkaterra Hacienda Urubamba is a secluded, scenic 100-acre luxury resort situated in the heart of the Sacred Valley. 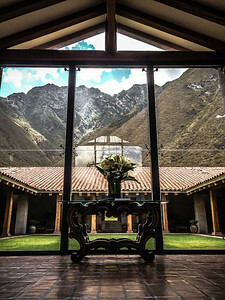 Nearly every window frames a panoramic Andean view. 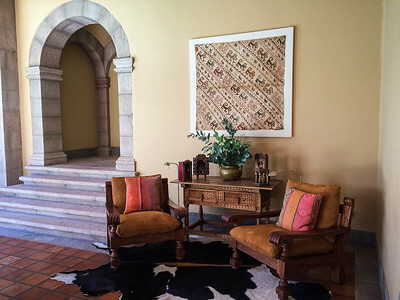 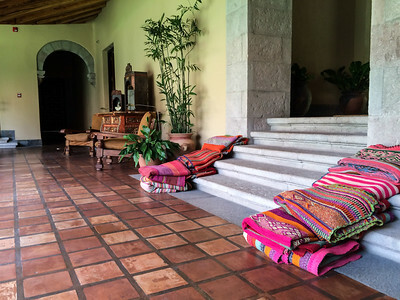 Colonial-era antiques and pre-Columbian textiles, the carved wood furnishings and vibrant Andean fabrics echo and embrace the region’s Andean and Spanish-colonial heritage. 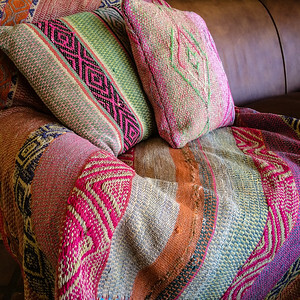 Vibrant Andean fabrics echo and embrace the region’s ancient traditions. 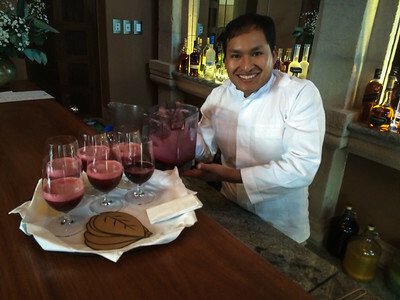 Guests are greeted with welcome glass of chicha morada, a refreshing non-alcoholic Peruvian drink made from purple corn. 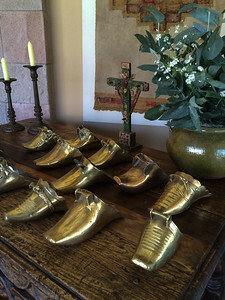 Colonial-era antique women's stirrups provide an authentic decorative detail . 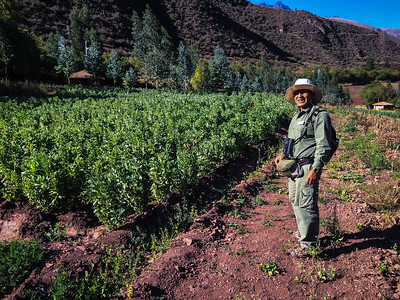 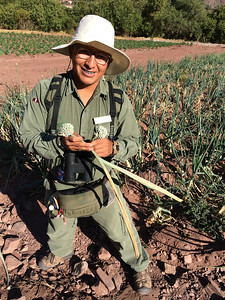 Inkaterra explorer guide, Jose Luis Lavilla at the resorts 10-acre organic farm that produces much of the restaurant's produce. 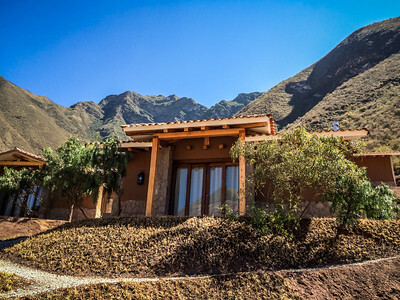 Private guest casita still under construction and due to open in October 2015.